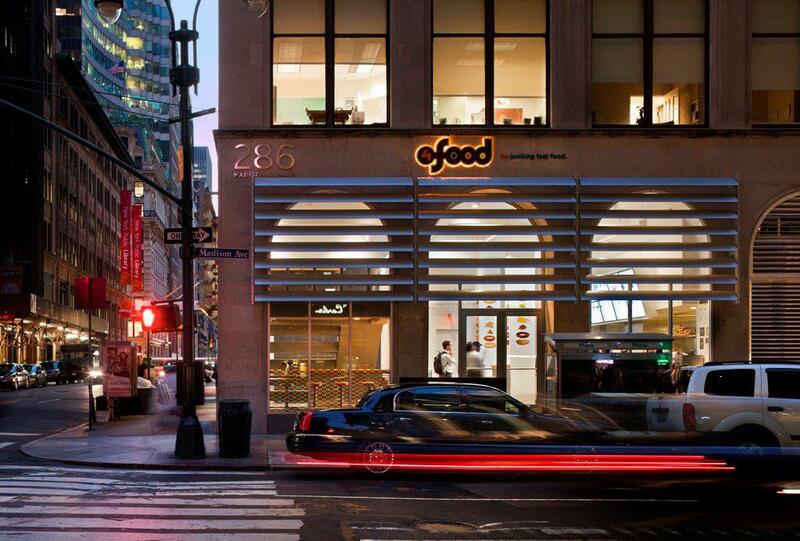 After a long 25 months hiding behind scaffolding, 4food, located at 286 Madison Ave, is celebrating the re-reveal of their storefront with social media driven promos. 4food is about offering fast and convenient food that is fresh, nutritious, and delicious. They promote the use of local and seasonal ingredients. 4food is known for their (w)holeburger concept. 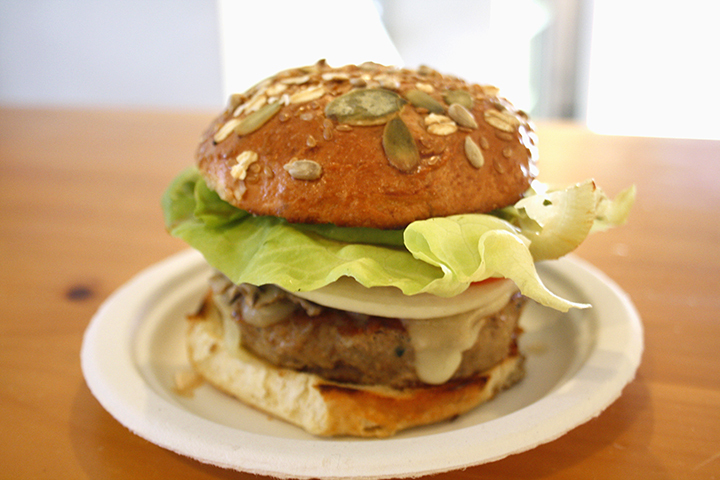 The burger features a donut shaped patty, choose from free-range turkey, grass-fed beef, pasture raised lamb, sustainable salmon, or their vegan and dairy-free veggie. The center is filled with your choice of one of their many scoop options, from avocado and chilli mango to roasted root veggies. Their interactive online menu and in-store iPads allows diners to build and customize their meals to their liking, whether it’s a burger, rice bowl, or salad. Everything is made on premises in the kitchen located right on the lower level of the restaurant. There’s a number of vegan and gluten-free options too. So back to the promotion. First, 4food is offering customers a free tea or soda beverage with any order of $10 or more. Second, participate in their Get the (W)holepicture promotion and receive 20% off your meal, or donate it to a charity of choice. Simply take a picture with the newly re-revealed façade or a (w)holeburger and post it to Instagram, Facebook, or Twitter with the hashtags #wholepicture #4foodnyc. Show the post to the cashier to receive the discount. Also, customers who post a picture will be automatically entered to win one of 4 $100 4food store credits. The promotion will run now through October 15th, 2013.